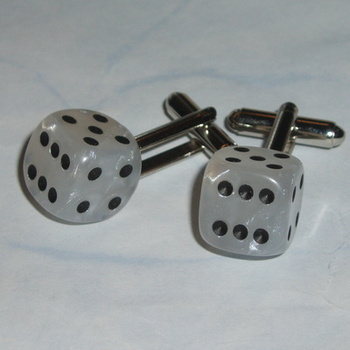 Dice Cufflinks, White pearl, very Rockabilly. A pair of fab 12mm white pearl dice securely attached to silver plated cufflink blanks. Very smart. 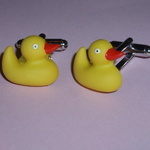 These will jazz up any shirt. Perfect for a poker player or gambler. Dispatched in a cufflink box.